Discuss these with your clients who are considering charitable gifts. The end of the year means a drastic increase in philanthropic gifting. There are some exceptions to these self-dealing prohibitions: The PF can pay compensation to a disqualified person for personal services that are reasonable and necessary to carry out the PF’s purpose and if the total amount of the compensation is reasonable. Personal services include PF management and administrative support, real estate management services, investment management services and legal and accounting services, but doesn’t include secretarial services. Specific services that a disqualified person can provide include contract and lease negotiation, debt management and budgeting, accounting, supervision of property, operations and inspection, rent collection and supervision of personnel. As a general rule, a disqualified person can’t use a ticket to a charitable event receiving support from the PF. This includes attendance by a guest, such as a spouse, of a trustee of the PF. A trustee can only attend a charitable event if she has responsibility for evaluating and reviewing the activities of the PF. Office space. The general rule for office space is that it’s an act of self-dealing for an FO to pay the PF for its portion of the lease (the opposite is also true—renting space to a PF). To solve this problem, the FO must enter into its own separate lease, and the landlord can’t be a disqualified person. The common areas should also be allocated to the FO—not to the PF—because the PF can’t pay for such space and then allow the FO to use it. If separate offices and leases aren’t a viable approach to self-dealing, the FO should sign the lease and allow the PF to utilize the space rent-free. Renting to a PF isn’t self-dealing if the lease is without charge. The lease is still considered to be without charge if the PF pays for its own utilities and other maintenance costs to third parties as they occur. Equipment and supplies. The FO can purchase and provide the supplies at no cost to the PF, or the FO and the PF can enter into separate contracts with a third party to provide the necessary equipment and supplies. If the technology infrastructure can’t be divided between two entities, the FO must pay the expenses and allow the PF to use it free of charge. Personnel. It may be difficult to separate the time of a shared employee in a shared space, so the safest and best response is always to have the FO pay for these services and not charge the PF. If the employee’s time can be allocated between the two entities, it’s possible for the FO to employ the individual, with the PF providing reimbursement; however, these services must constitute personal services, which aren’t considered secretarial assistance. A member of the board making a personal pledge for a charitable donation, but wishing to have it fulfilled through the PF, rather than through personal funds, causes an issue. This is an act of self-dealing. If an individual, officer, trustee or president of a PF makes a pledge that isn’t legally binding, the PF can assume the pledge. However, the PF can’t assume a legally binding obligation of one of its disqualified persons. A disqualified individual may assume that she can enter into a business proposition with the assistance of her PF, but the Internal Revenue Service has indicated that joint investments could inappropriately benefit the disqualified person and would be considered self-dealing in many circumstances. Depending on the facts, co-ownership of other types of property by a PF and a disqualified person may or may not be considered an act of self-dealing if the PF’s co-ownership confers a significant benefit to the disqualified person as the other co-owner. For example, in Private Letter Ruling 9651037 (1996), the IRS ruled that co-ownership of property by a PF and disqualified person wasn’t self-dealing because the co-ownership was not a sale, exchange or leasing of property. Further, the PF and the co-owner didn’t acquire an interest in the property from the other party; and the PF received its share of rental payments directly from the unrelated third-party tenants. When family dynamics come into play, there can be liability for a director, so it’s always important to enlist an outside advisor. When there’s misuse of PF’s income or assets, the board will need to reevaluate policies to prevent the transaction from happening again. An example of misuse is a disqualified person displaying a PF’s artwork in his home or office. When a member of the board of the PF has been using PF funds or assets inappropriately, the board should marshal the evidence and retain legal counsel and a forensic accountant. Investigating utilities, furniture purchases, artwork and credit card statements may be a sufficient form of evidence. Legal counsel can then work with the forensic accountant to prepare a full report including all of the self-dealing transactions. If the PF’s directors and officers policy covers excise tax and self-dealing, it should notify the insurance company for possible reimbursements for legal expenses under the policy. If any transactions might be considered an act of self-dealing, the PF should seek legal counsel. After full disclosure, if a person relies on written legal advice, indicating that the transaction doesn’t constitute self-dealing, the person won’t be liable for any penalty taxes, even if the transaction is subsequently considered to be self-dealing. The PF doesn’t pay self-dealing taxes; it’s the individual who participates in the act who pays the initial tax. The first-tier tax on self-dealing is 10 percent, assessed on the amount that’s involved and will be imposed on the disqualified person. A 5 percent tax is imposed on the PF manager who knowingly and willingly participates in the transaction of self-dealing. A second-tier tax of 200 percent of the amount involved can be imposed on the disqualified person if there’s a failure to correct the self-dealing in a timely manner. According to the IRS, self-dealing taxes can’t be abated for reasonable cause. Many individuals establish their PF with a specific purpose for the use of PF assets through the use of a purpose clause. A charitable trust statement can also be included to provide a stringent interpretation of how funds that are being donated to the PF can be used. Governance structures are also beneficial options. One governance structure is to have outsiders act as individuals or majorities on the board. It can be specified that the PF will terminate in the event that the board tries to make a donation that’s not in line with the original intent. The founder can also sunset the PF to terminate within 10 years after her death so that decades later, the money isn’t at risk of being spent outside of the original intent. A gift document can also be included in the original creation of the PF stating that the gift may only be used for specific, delineated purposes. Interested in protecting your estate and maximizing the impact of your charitable giving? Then establishing a Private Foundation is worth your consideration. A Private Foundation provides the ability to retain control over the administration and investment of assets that have been recognized as important for future grant-making. By making gifts from your Foundation to charities in increments over time, you can extend your influence over the ongoing use of your gifts. 10. Using caution with ticketing and fundraising events. 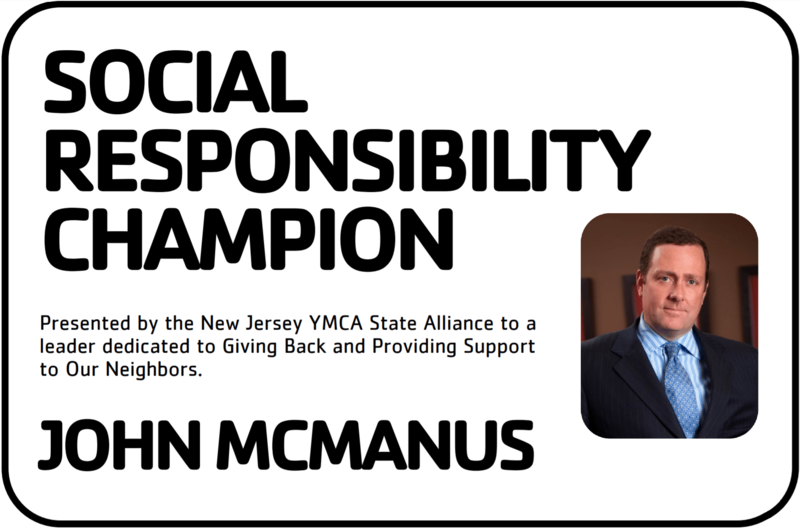 For guidance on the creation or management of a Private Foundation, contact McManus & Associates at 908-898-0100. Dr. Granowitz was on a business trip when the hurricane struck. He watched on television the images of devastation. The day he returned home, he got a call from John O. McManus, a lawyer who advises Dr. Granowitz on philanthropic giving through his family foundation. This client worked with McManus & Associates to combine his own philanthropic mission with the immediate need of the people of Puerto Rico. In the story, The Times follows the charitable gift from its source to the distribution warehouse in San Juan. Mr. McManus said the focus of his clients’ charitable giving includes organizations affiliated with the nursing profession and those that serve older people. Communicating directly with donors, showing the effect their dollars have had, is more than just a way to verify that the recipients have used the money. “We’ve found that people want to meet someone with the organization, and they want to hear the stories, the so-called ‘mission moments’ which give examples of their work,” Mr. McManus said. McManus & Associates would love to help you think through your family foundation’s strategy, or if you are now ready to establish a family foundation, we are here to guide you through its creation. Most importantly, if we can assist you to refine your own relief effort in the recently devastated areas of Houston, Puerto Rico, Northern California, Mexico City, or the tragedies in Las Vegas, New York City, or the First Baptist Church in Texas, please contact McManus & Associates at 908-898-0100; we’re happy to make the process easier. The election of Donald Trump, in addition to Republican control of the House and Senate, bodes well for significant tax reform during early 2017. For some people, this can present major opportunities for reducing taxes for 2016 by making some key year-end tax planning moves.